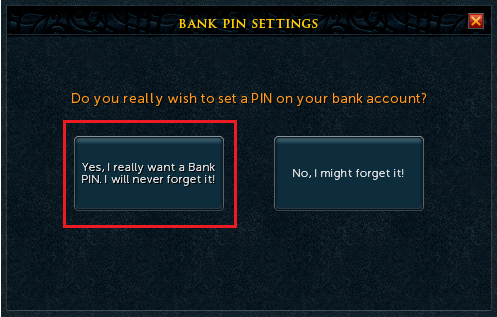 Setting a Bank PIN protects your hard earned wealth by allowing you to place all your important items in your bank and locking them behind a Bank PIN. 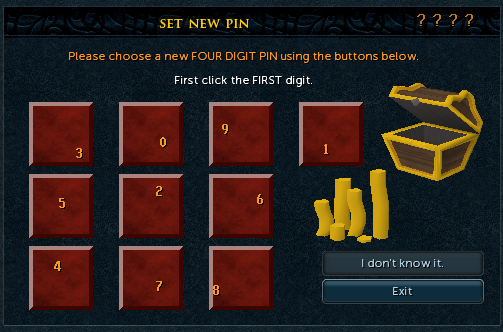 Select a four digit PIN you would like to use to access your bank. Confirm it. 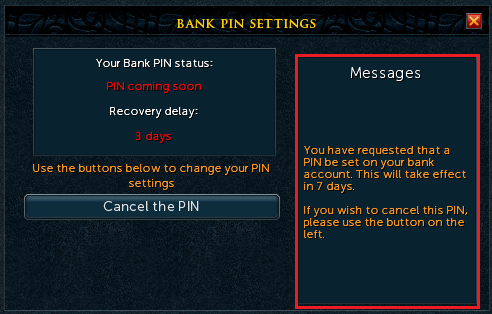 The PIN will take effect on your account in 7 days. 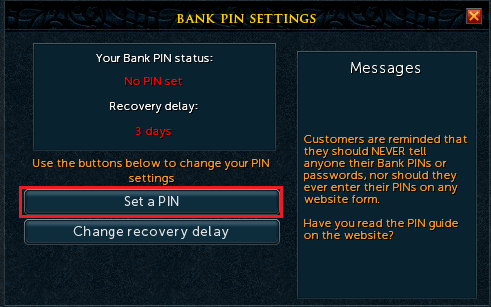 We advise that before logging out, you place any valuable items in your bank and don't leave them in your inventory. You can secure them by using the deposit boxes found in any bank or by speaking to a banker.